Depression is the most common mental health problem of later life, affecting 10-20% of older people1. This is a statistic that is even higher for care home residents, moving up to 40%. This can be attributed to many things – the number of individuals in elder care with complex health issues (which can often lead to such mental health issues) is obviously higher; but additionally, loss of independence, isolation and reduced family interaction can also exacerbate feelings of depression. Older people in residential homes and nursing homes are two to three times more likely to experience depression than older people in the community2. It is considered by some charity organisations and governing bodies (for example The Department of Health, UK), that there should be fundamental standards for providers emphasising the importance of person-centred care. These include the provision of activities that promote mental stimulation, as these can improve health and also help avoid challenging behaviours. Smell influences emotions and mood and can trigger memories of a specific time in our lives. Some scents will evoke energy; others make us feel warm and cosy³. Other scents can alleviate stress and depression. For example, the scent of pine could be used to decrease anxiety, according to research. One Japanese study discovered that anxious subjects had a greater feeling of relaxation after indulging in the scent. PremiumScenting offers ‘Woodlands’ for such occasions, with the scent of fresh evergreens and crisp pine needles. It is accented with thyme notes to clear the mind and sharpen focus, and sage notes that are uplifting and relieve depression. Reactions to loss of independence, change in lifestyle and unfamiliar surroundings can manifest as malnutrition from loss of appetite, anxiety and depression. Scent can elevate mood by up to as much as 40%4. 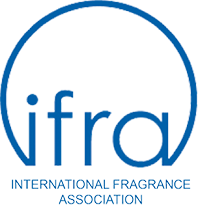 In recent studies carried out by Consumatics, in conjunction with PremiumScenting and Arla Foods, quality of life was deemed to increase by 10% when smell was diffused into seven research care homes. Additionally, 12% of residents felt their environment was more pleasant when scent was introduced. Scent is the most emotive of our senses and with the right scenting programme, care homes can achieve a wonderful balance of benefits to meet the emotional needs of residents. PremiumScenting by AirQ, serviced by [Initial/Ambius] enhances environments, enabling scent to influence emotions, moods and actions. To find out more, download our care homes mini report at www.premiumscenting.com/elderly-care. 1 National Institute for Mental Health in England (2005) Facts for champions, London: Department of Health, p.11.